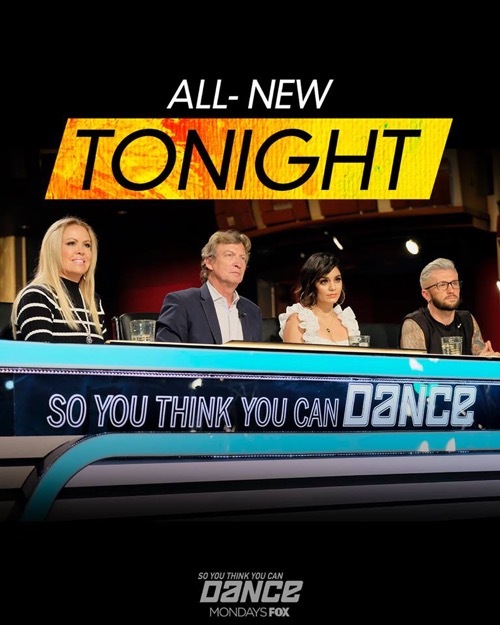 So You Think You Can Dance Season 15 episode 6 airs tonight from 8 PM – 9 PM and you don’t want to miss the end of the season. While you wait for your the So You Think You Can Dance recap make sure to check out all CDL’s SYTYCD recaps, spoilers, news & more. Its Academy Weeks. The dancers have survived their introduction to Hip Hop and Ballroom however there was still a few categories to get through and so the first thing they had to handle was their introduction to Travis Wall on tonight’s all new episode of “So You Think You Can Dance”. The famed choreographer hade shown the dancers a few moves and then told them that the moves didn’t really matter so much. He said that he was looking for someone to stand out and so even if they forget something along the way they could still make it through the round by sheer presence alone. Travis had tried to teach them each this much needed quality because it could be what saved them at the end of the day and unfortunately some just didn’t take to the lesson. Contemporary was split into groups of three and right off the bat there was someone that the judges just loved to watch. Cole Mills had impressed the judges with the other two categories and he was proving that he was quite well-rounded by literally being great at everything they throw at him, so the judges thought he was one to beat. The next group on the other hand had had two great dancers and one poor one. Everyone remembered how great Tessa Dalke was during her auditions and she seemed to be going downhill since getting into he Academy. The judges had let it slide when she lost herself in both Hip Hop and Ballroom yet they thought she would have a turnaround in her own field and so the real problem turned out to be choreography. Tessa couldn’t handle choreography. She was great when she was doing her own thing and that meant the problem lied with her following others but despite this being a great flaw that they knew would affect her later on – the judges had still wanted to give her one final shot. They decided to leave her fate to the Jazz round meanwhile they eliminated four people in the Contemporary round before they brought in the very frightening Mandy Moore. She had her own way of doing things and out of all of the choreographers no one was as hard as Mandy. She put each group in learning the large group number and then had them learned other numbers on top of it. Mandy had produced an award winning performance and had pushed everyone into not falling down on the job. The judges had sent home some people they loved to watch because they hadn’t transitioned well and so this Jazz number was going to be the final deciding factor fore more than just Tessa. Each genre would have their moment to shine in the routine and then the giant number would come in, so it began first with the tappers. The tapping favorite Eddie had gone home the last round because he was one those few that hadn’t transitioned well though the two remaining tappers had been great and it was a great introduction to the dance. There had been sections for Hip Hop, Ballroom, Contemporary and then whoever still wasn’t standing out by time they were all onstage had made things easy for the judges. The judges had let go someone from each genre and they eventually eliminated Tessa because she still couldn’t regain her footing in this competition. She had been one of six to go home after that round and so there had been only twenty-seven left for the final portion of Academy Week. The dancers all had to perform one last solo to show why they should make into the finals. The judges looked for improvement from the auditions and they found that with the first person that had their solo tonight. Jay Jay had come out strong and had wowed them within moments of his routine. The judges had loved it so much that they knew he was a strong contender and had said he clearly showed that he was dancing for his life. At that point, everyone was dancing for their lives and unfortunately some even became desperate. There was one ballroom dancer that took off his shirt as a gut reaction because he thought that would grab everyone’s attention and it wasn’t until after the dance was over that he realized what a mistake he made. Allen Genkin came to regret what he did and had hoped it wouldn’t be held against him so once all the solos were over, he waited with the others for news who made it. The first person that got accepted into the Top Twenty had been Jay Jay and he had been followed by Genessy, Cole, Jensen, Stephanie, Justin, Slavik, Dayna, Sydney, Brianna, Peyton, Dustin, Evan, Kyle, Chelsea, Emily, Hannahlei, and the last position went to a surprised Allen. The judges had decided to overlook tonight’s solo because Allen had been a great dancer in the rest of the categories. Another surprise that came tonight was when the judges told them that only ten of them will continue on to the live shows and so there will be one last elimination next week.